We are always overjoyed to receive a new award, despite a 25 year legacy and over 20 accolades to our name. This recognition is a testament to our hard work and commitment in producing not only the very best fleet management software systems available in the industry, but also our approach to customer service. 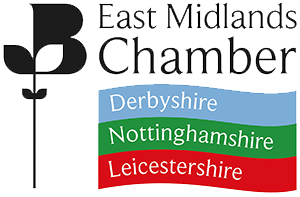 Chevin is honoured to have been recognised for ‘Excellence in International Trade’ at East Midlands Chamber Derbyshire Business Awards 2017, as well as taking top honours, winning the prestigious ‘Business of the Year’ accolade. FleetWave is used in more than 180 countries – with customers ranging from UK councils and ambulance services to the International Red Cross, UNHCR, New York State and the Kenya Police – and this award confirms our local and international commitment. The software has helped the efficiency of hundreds of companies worldwide and has saved clients tens of thousands of pounds. FleetWave has once again been recognised with a FleetWorld Honour: A prestigious industry award designed to recognise organisations that have demonstrated high levels of innovation, quality and sustainability. To meet this standard, Chevin has demonstrated it has implemented exceptionally high quality management systems for all areas of the business including facilities, people, training, services and equipment. The latest ISO9001 accreditation proves that Chevin has a strong management system that helps the company deliver time-and cost-saving processes to ensure efficiency, support all staff and enhance customer relationships. The certification is a symbol of its strong working practices throughout the entire company. Chevin has become one of the first UK fleets to join the Governments Go Ultra Low campaign. The commitment means that at least 5% of our fleet must consist of electric vehicles by 2020 and, in addition, we have enforced a strict emissions policy on the proportion of its non-EV fleet. After introducing new features for its FleetWave fleet management system, in 2015 Chevin Fleet Solutions was once again recognised in the Annual GreenFleet Awards, with a commendation for IT innovation.